First of all, Merry Christmas to all of you! 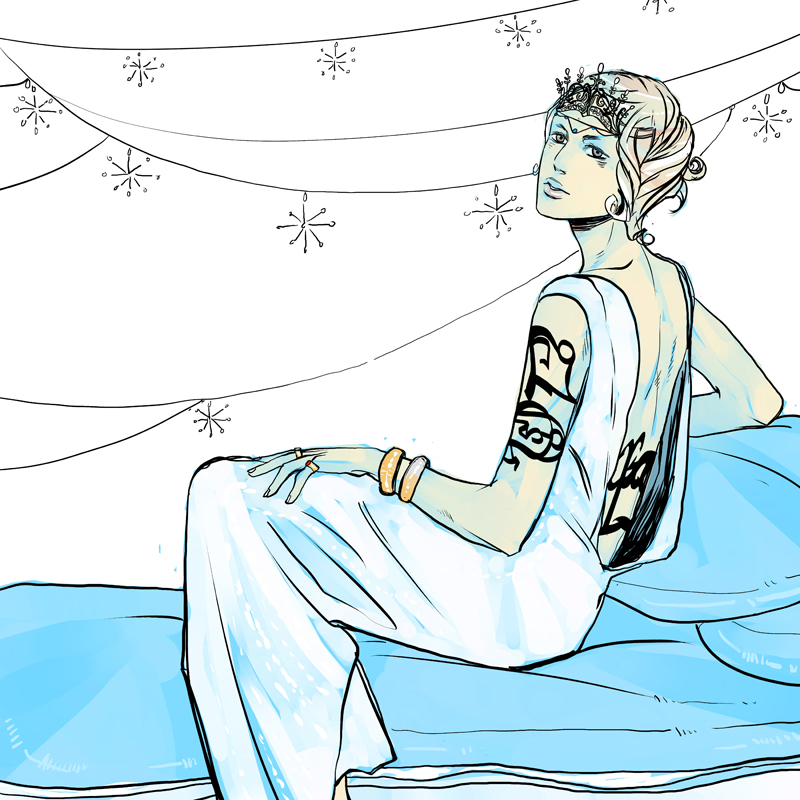 Earlier today Cassandra Clare shared a new snippet of City of Heavenly Fire and the December artwork for the Shadowhunter calendar by Cassandra Jean, which she promised to do earlier this week. The snippet features Simon and Clary discussing some Christmas gifts. The December artwork for the calendar features all the characters of the previous months all together. The guys we’ve already seen having a snowball fight, and the girls are looking very festive! Als eerste, Vrolijk Kerstfeest iedereen! Eerder vandaag heeft Cassandra Clare een nieuw fragment van City of Heavenly Fire en de December illustraties voor de Shadowhunter kalender van Cassandra Jean gedeeld, zoals zij eerder deze week al beloofde. Het fragment gaat over Simon en Clary die over kerst cadeau’s praten. In de illustraties voor December zijn alle personages van de voorgaande maanden te zien. De heren hebben we al een sneeuwbal gevecht zien houden, en de dames zien er erg feestelijk uit! The Frays had never been a religiously observant family, but Clary loved Fifth Avenue at Christmas time. The air smelled like sweet roasted chestnuts, and the window displays sparkled with silver and blue, green and red. This year there were fat round crystal snowflakes attached to each lamppost, sending back the winter sunlight in shafts of gold. Not to mention the huge tree at Rockefeller Center. It threw its shadow across them as she and Simon draped themselves over the gate at the side of the skating rink, watching tourists fall down as they tried to navigate the ice. First row / eerste rij: Aline, Maia, Isabelle, Cecily, Grace. Second row / tweede rij: Helen, Cristina, Emma, Clary, Tessa, Lucie, Jessamine. James, Jace, Will, Jaime, Julian, Mark, Jem, Matthew, Magnus, Alec, Raphael, Simon. Cassandra Clare has posted the month December of the men’s version of the Shadowhunter Chronicles calendar, in which we get to witness the boys having a snowball fight! Cassandra Clare heeft vandaag de maand December van de heren versie van de Shadowhunter Chronicles kalender gedeeld, waarop we de jongens in een sneeuwbal gevecht mogen bekijken! Clockwise from the upper left side: James, Jace, Will, Jaime, Julian, Mark, Jem, Matthew, Magnus, Alec, Raphael and Simon. Met de klok mee van links boven: James, Jace, Will, Jaime, Julian, Mark, Jem, Matthew, Magnus, Alec, Raphael en Simon. Another post today, this time two new months of the ladies version of the Shadowhunter Chronicles calendar. 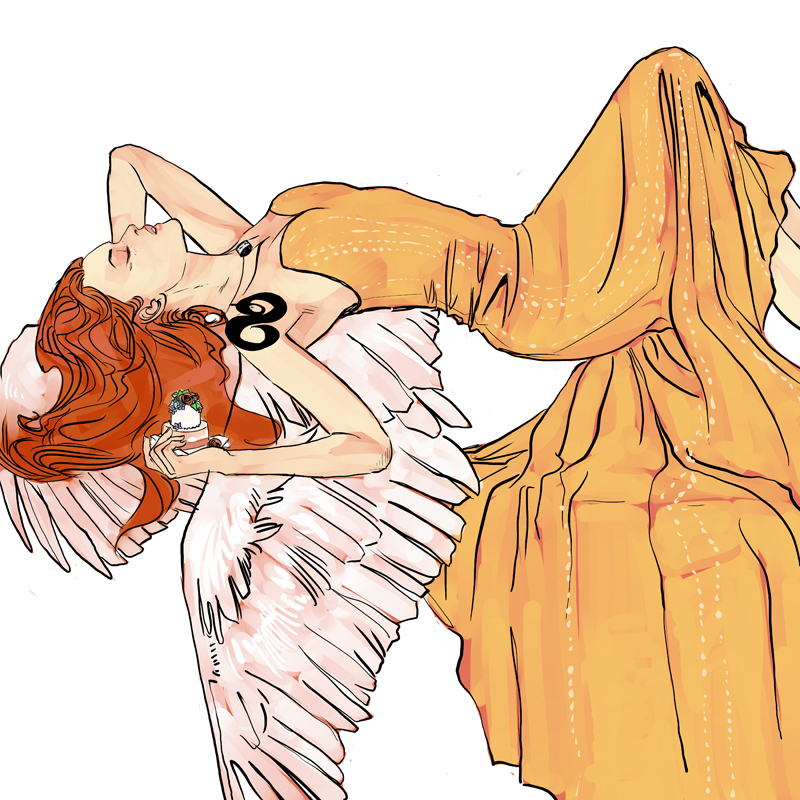 Lucie Herondale (TLH) personifies October and Jessamine Lovelace (The Infernal Devices) personifies November. Nog een post vandaag, deze keer twee nieuwe illustraties voor de dames versie van de Shadowhunter Chronicles kalender. 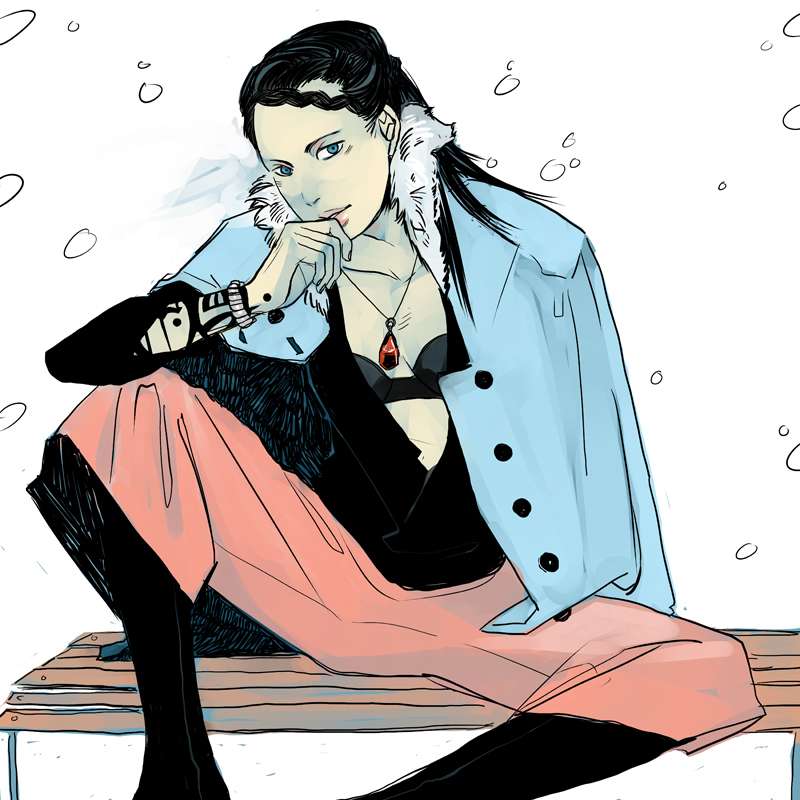 Lucie Herondale (TLH) personificeerd Oktober en Jessamine Lovelace (The Infernal Devices) personificeerd November. Cassandra Clare shared another two entries for the ladies version of the Shadowhunter Chronicles calender. August is personified by Clary Fray and September by Tessa Gray, the protagonists of respectively The Mortal Instruments and The Infernal Devices. Cassandra Clare heeft twee nieuwe maanden toegevoegd aan de dames versie van de Shadowhunter Chronicles kalender. Augustus wordt gepersonificeerd door Clary Fray en September door Tessa Gray, de hoofdpersonages van respectievelijk The Mortal Instruments en The Infernal Devices. 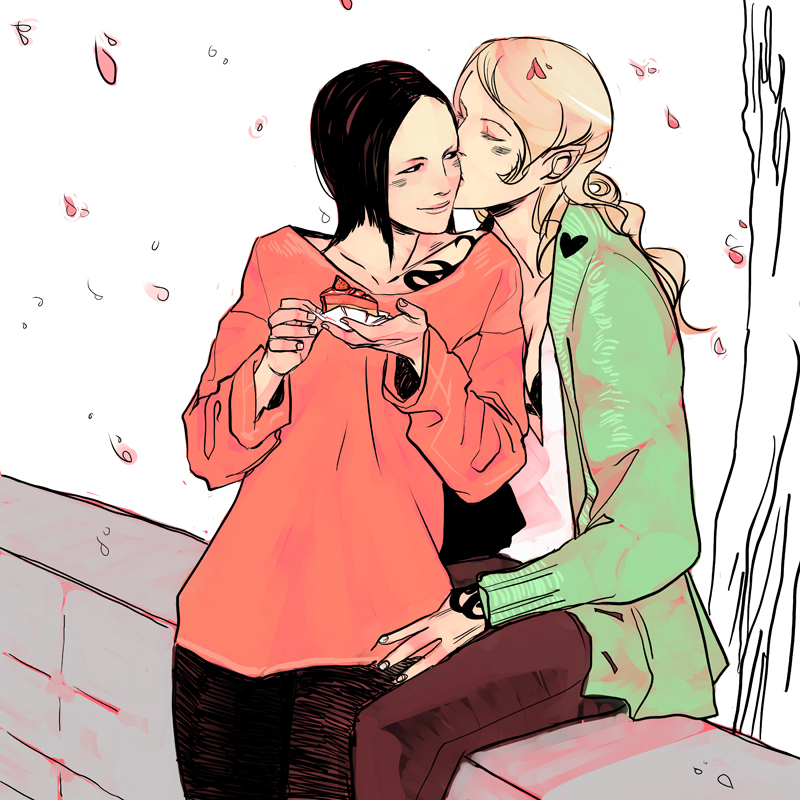 More art from Cassandra Jean’s Ladies of the Shadowhunter Chronicles calendar. 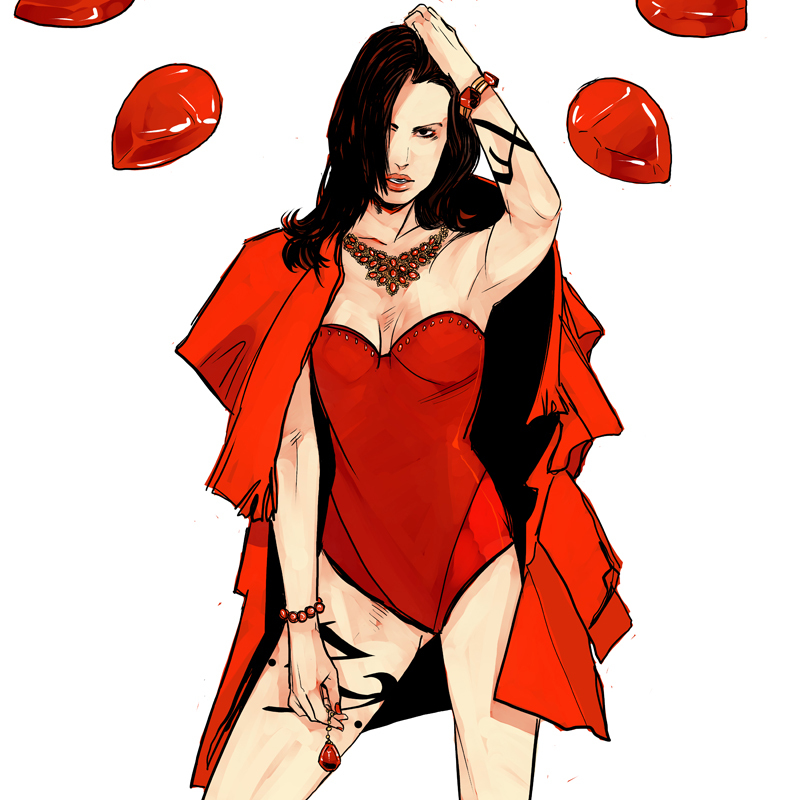 Today we can all admire Isabelle Lightwood looking very vampy (more so than Simon!) as the month July! 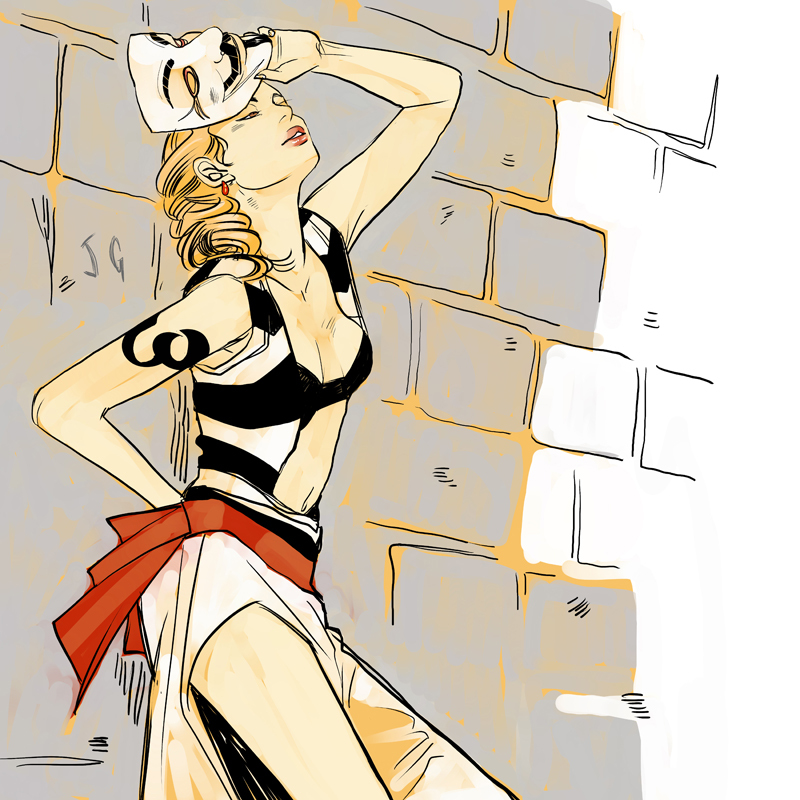 Meer artwork van Cassandra Jean’s Ladies of the Shadowhunter Chronicles kalender. Vandaag mogen we Isabelle Lightwood bewonderen, die er erg vampy uitziet (meer dan Simon!) als de maand Juli! In today’s addition to Cassandra Jean’s Ladies of the Shadowhunter Chronicles calendar we meet best friends Cristina Rosales and Emma Carstairs (both from The Dark Artifices), as May and June respectively. Cassandra Clare has added that she thinks of Cristina as too shy to show her bra. In de update van vandaag van Cassandra Jean’s Ladies of the Shadowhunter Chronicles kalender, ontmoeten we beste vriendinnen Cristina Rosales en Emma Carstairs (beiden van The Dark Artifices), als respectievelijk Mei en Juni. Cassandra Clare heeft hieraan toegevoegd dat ze denkt dat Cristina in haar belevenis te verlegen is haar bh te laten zien. 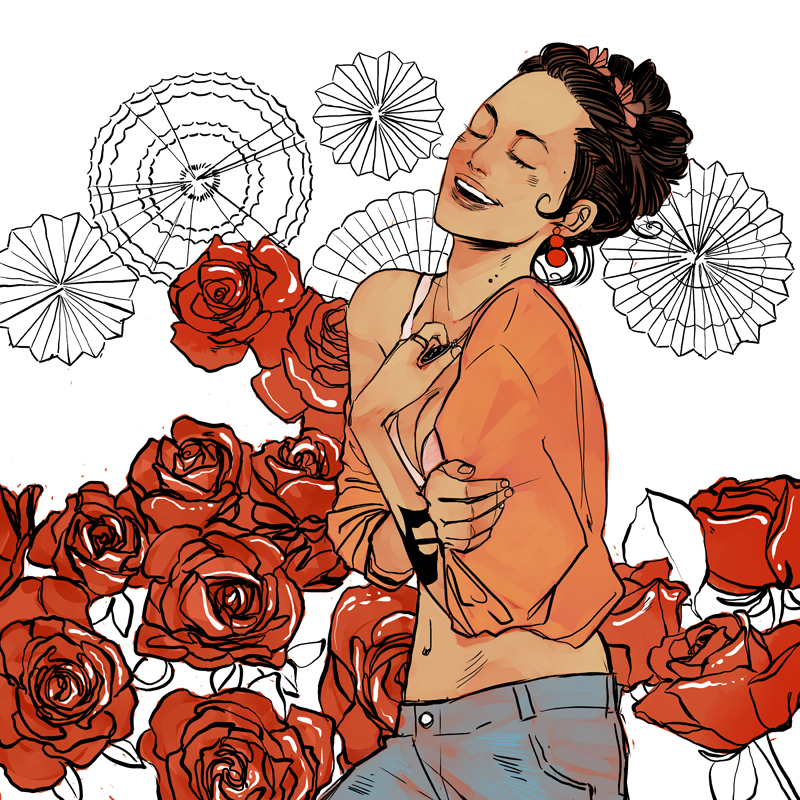 Cassandra Clare has shared more artwork from Cassandra Jean’s Shadowhunter Chronicles calendar. The next two ladies are Cecily Herondale (The Infernal Devices) as Miss March (to match her brother Will as Mr. March) and Maia Roberts (The Mortal Instruments) as Miss April, who looks very lovely! 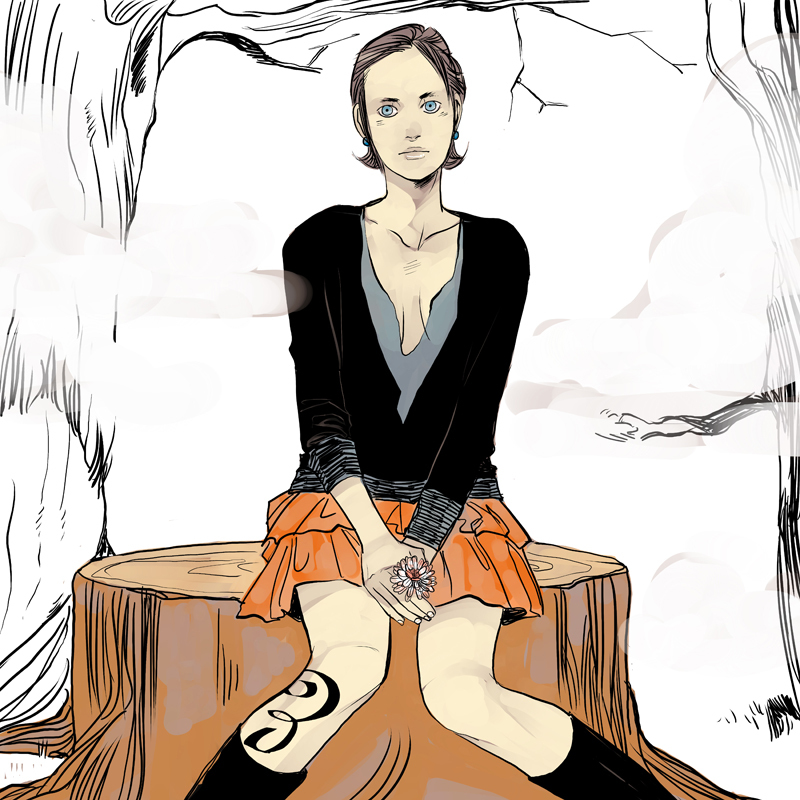 Cassandra Clare heeft wederom illustraties gedeeld van Cassandra Jean’s Shadowhunter Chronicles kalender. De twee nieuwe dames zijn Cecily Herondale (The Infernal Devices) als Miss Maart (haar broer Will is Mr. Maart in de heren kalender) en Maia Roberts (The Mortal Instruments) als Miss April! 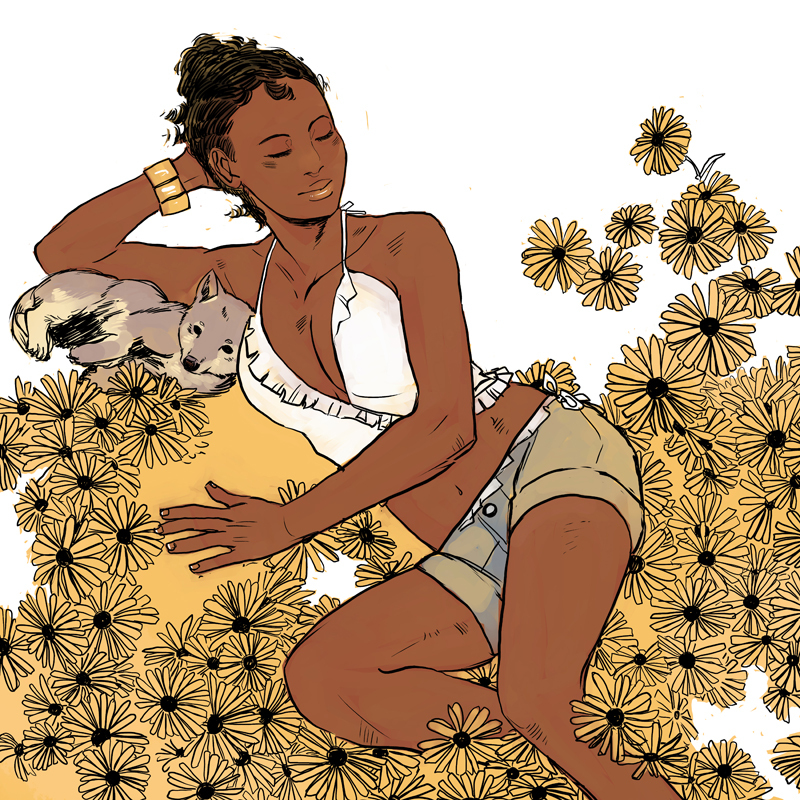 Today Cassandra Clare shared illustrations (by the amazing Cassandra Jean) for January and February of the Ladies of the Shadowhunter Universe calendar, as she promised before. For January is personified by Grace from The Midnight Heir (The Bane Chronicles) and the future TLH series, while romantic February is personified by couple Aline Penhallow and Helen Blackthorn from The Mortal Instruments. 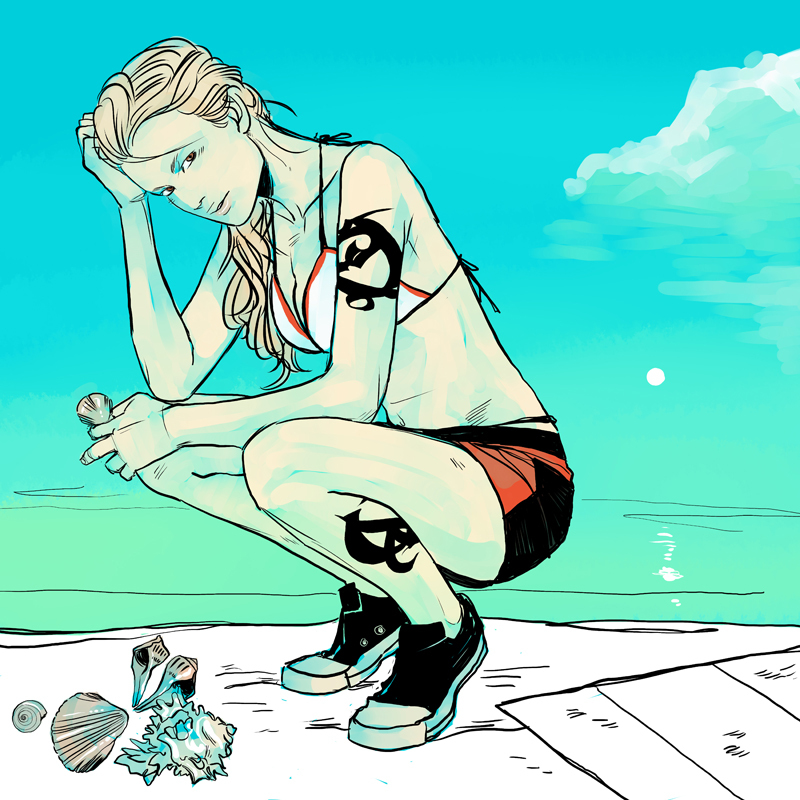 Vandaag heeft Cassandra Clare, zoals beloofd, illustraties gedeeld (gemaakt door de getalenteerde Cassandra Jean) voor Januari en Februari van de Ladies of the Shadowhunter Universe kalender. Januari wordt gepersonificeerd door Grace van The Midnight Heir (The Bane Chronicles) en de toekomstige TLH serie, terwijl het romantische Februari wordt gepersonificeerd door het koppel Aline Penhallow en Helen Blackthorn van The Mortal Instruments. 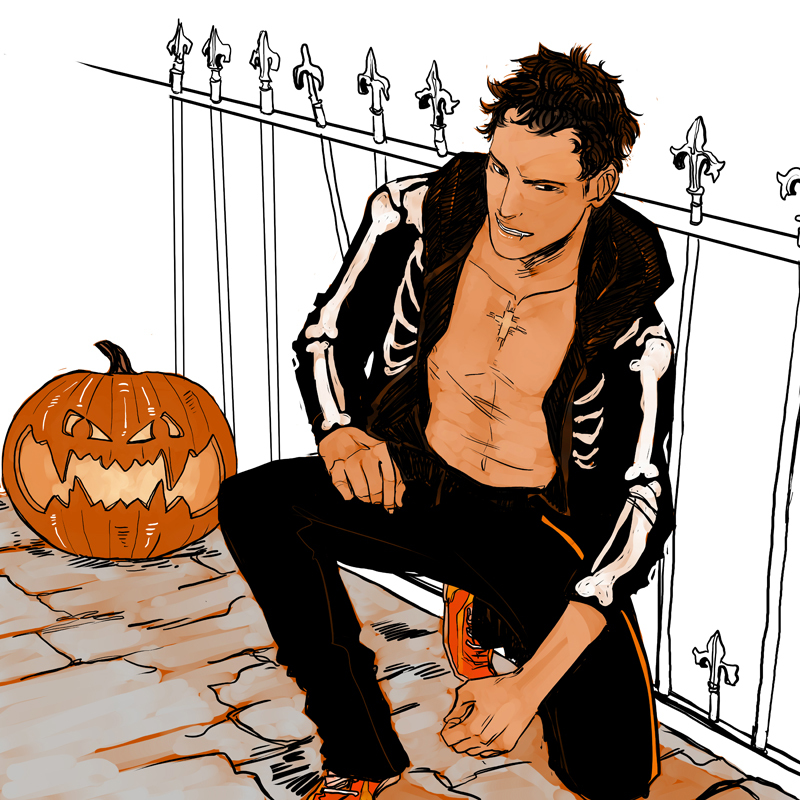 Today Cassandra Clare shared two more pictures of Cassandra Jean’s Men of the Shadowhunter Universe calendar. Vandaag heeft Cassandra Clare nog twee afbeeldingen gedeeld van Cassandra Jean’s Men of the Shadowhunter Universe calendar. Mr. September is niemand minder dan Simon Lewis en Mr. October is Raphael Santiago, die we beter hebben leren kennen in het recentste deel van The Bane Chronicles, Saving Raphael Santiago. 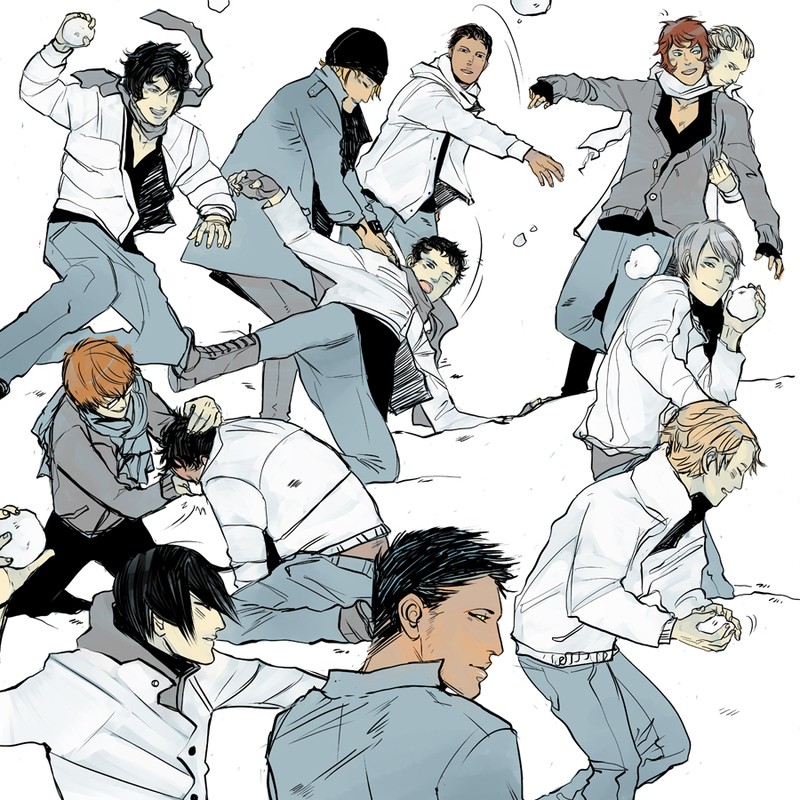 Cassandra Clare shared another month of Cassandra Jean’s Men of the Shadowhunter Universe calendar. 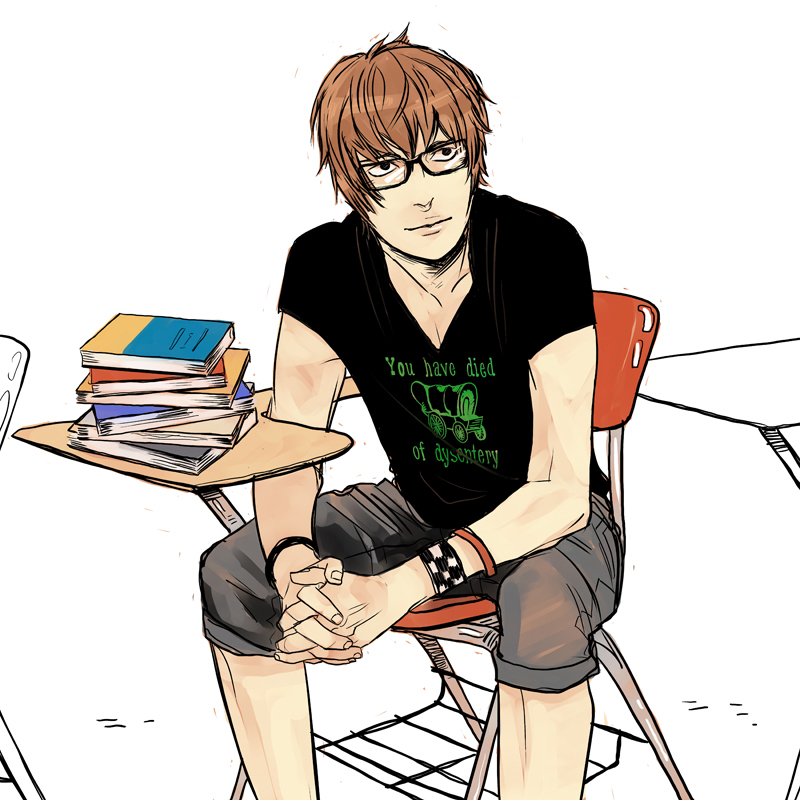 For August we have Mark Blackthorn from The Dark Artifices. Cassandra Clare heeft het artwork van nog een maand gedeeld van Cassandra Jean’s Men of the Shadowhunter Universe kalender. 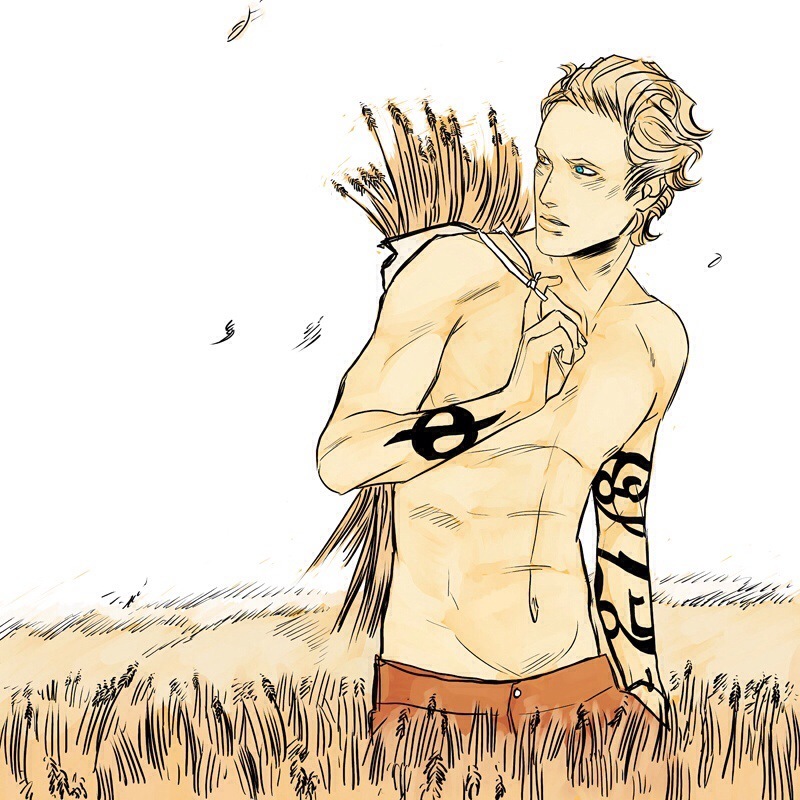 Voor Augustus hebben we Mark Blackthorn van The Dark Artifices.